Qatar paying Hamas salaries, bypassing Palestinian Authority, report says. Qatar has begun sending funds to Gaza, Lebanon's Al Akhbar reported Saturday. The transfer has been approved by both the US and the United Nations (UN). According to Channel 2, Qatar began transferring the funds to Gaza via Israel, while circumventing the Palestinian Authority's authority. The funds are intended to be used to pay for six months of electricity for Gaza, as well as to pay the salaries of Hamas terrorists in Gaza for the next three months. Channel 2 added that the UN told Hamas that it intends to build a large desalination facility. Israel also agreed to provide entry visas for 5,000 Gaza merchants, the report said. 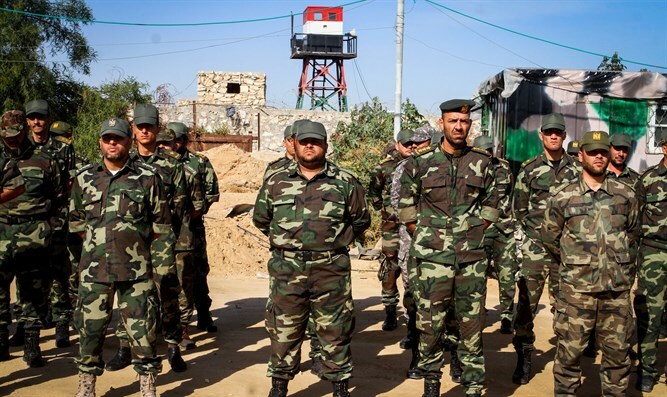 Egypt, for its part, promised Hamas that it would loosen requirements for Gazans wishing to cross into Egypt, and said that it would make the technology at the border more efficient. This, Egypt said, would "significantly" increase the number of people and merchandise allowed to cross the border each day.